I had a miscarriage at 15 weeks gestation. Miscarriage and infant loss are often kept quiet and private. I want to share my story to help others. By clicking the link below, you will access the story of my pregnancy and miscarriage. This story is written with many personal and physical details. There may be parts that seem unimportant to you. I tried to be as all inclusive as possible to benefit the variety of people who may read it. This could be helpful to some that are experiencing or have experienced a miscarriage, family and friends supporting someone during and after a miscarriage and birth professionals. None of it is intended to be medical advice as every situation is different. If you are having a miscarriage please consult with a healthcare provider. Link to miscarriage story of Bianca and 15 week Holley. ​Meets at Rodenberg Chuch of Christ in Biloxi. ​a 13 week program with trained facilitators to walk through Grief. The group is non-denominational however, there is a biblical element to the program. ​Click here for detail about this group. ​An annual walk at sunset to commemorate pregnancy and infant loss. ​Founded by Rebecca Schroeder, this organization provides blankets, footprint kits and other helpful items to local hospitals for families who have suffered a loss. Rebecca coordinates other events to commemorate the babies that have been lost. ​This website is packed full of resources and information. 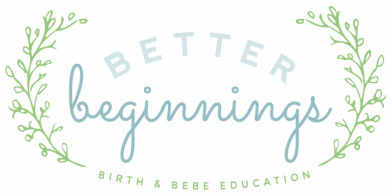 Learn more about your options, read stories from others who have suffered similar loses, and find a bereavement doula in your area. ​This online. facebook support group was started in Jackson, MS. I have spoken with directors at each of the funeral homes below and was deeply impressed with their compassion and understanding for the unique and deep grief that a mother feels after a miscarriage of infant death. ​No charge for stillbirth or infants under the age of 1, funeral or cremation. They also have arrangements with cemeteries for reduced gravesite costs.